My mother had me hooked on flower gardens by the age of eight years old. Magnificent zinnias, gentle pansies and happy daisies were, and still are, some of my favorites. There are hundreds of reasons to plant a flower garden next season, but here are my top ten. The Birds and the Bees…and the Butterflies too! Every year, regardless of which flowers I plant or how much I neglect them, that fabulous trio of winged creatures always finds them. Be sure to provide bird feeders, baths, and houses to maximize your bird watching enjoyment! As the chill of winter begins to fade and the holidays are over, my thoughts naturally turn to the flower garden. The fact that nearly 1,000 full-color seed, perennial, and bulb catalogs fill my mailbox helps, too. I simply love exploring the new colors of roses, daisies and larkspur, and trying to decide which ones to plant in my walkway this year. An undeniable benefit of flower gardening is that it forces you to get up out of the rocking chair, turn off those addictive soap operas, and get outside. Moving your body, stretching to reach that lily in the back of the flower bed and breathing tons of fresh air has been proven to be good for you. Don’t get me started on the psychological benefits! Can you say stress release? When seed packets abound for 99 cents each and dirt is, well, dirt cheap (or free), who can complain about the cost of flower gardening? This is one hobby that can be very inexpensive, as long as you don’t fall for the $40 trowel in that sophisticated gardening catalog. You don’t have to wear tie-dye and drink carrot juice to appreciate this one. Planting shrubs, trees, and flowers using organic methods (put down the Miracle-Gro!) not only beautifies our surroundings but helps decrease air pollution and soil erosion. Oh, and don’t forget to recycle those plastic pots again next year. Flower gardening is one hobby that just keeps getting better every year. Bulbs and perennials naturally multiply and produce twice the number of blooms that they did last year. The garden soil grows healthier with each yearly application of manure and compost. Plus, the more gardening friends you make over the years, the more free iris and peony giveaways you can be a part of every spring! Please don’t pay 15 bucks for a simple bouquet when you can grow 100 of them for nearly the same price. All those beautiful vases sitting empty in your cabinet will thank you! Although briefly mentioned in #2, this one’s worth revisiting. Curling up with my favorite seed catalog and a cup of tea or cocoa is pure magic in January. Waiting for the seeds to arrive and then planting them near a sunny window or under a fluorescent grow light makes February seem a little easier. Finally, March arrives and my seeds sprout into tiny, precious little plants. Before you know it, spring is here, the sun warms the earth, and it’s time to get your hands dirty! Gardening is one of the few hobbies I can think of that doesn’t require that you leave the house or even spend money to have fun with the whole family. 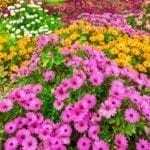 Read more articles about General Flower Garden Care.